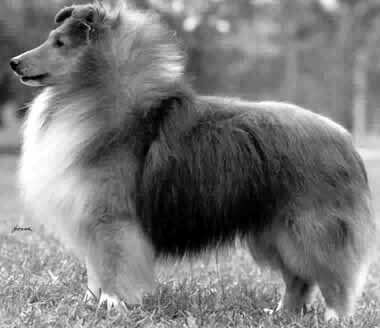 Ch Cahaba's Touch the Wind ROM was a sable dog, bred by M. Waldo and whelped April 18, 1976. He was by Ch Lingard Centurion o'Cahaba ROM ex Cahaba Marcia's Majesty, and sired 11 Champions. He is Line CHE Part IIe and Family 12 Part II.